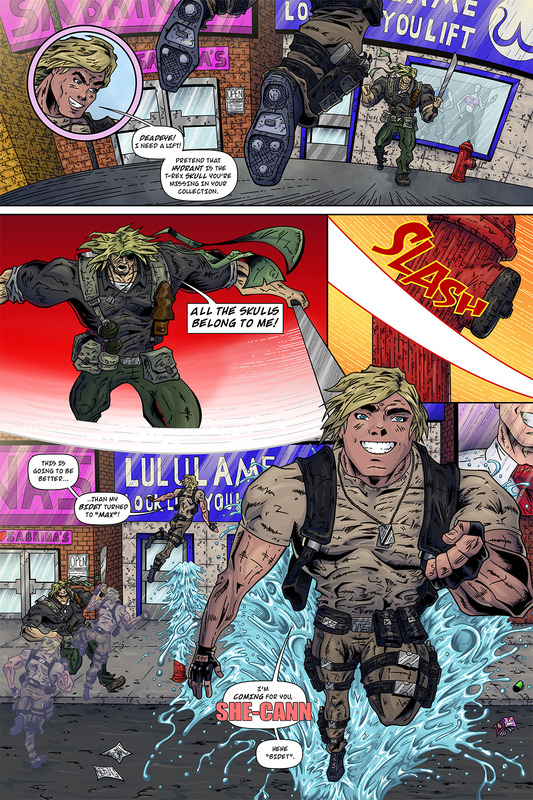 We’re well into the premium pages of Team Stryker Mission 010 now! The last 6 issues of Team Stryker have been the standard 24 pages, but Mission 010 is a whopping 35 pages! At this moment I’m currently inking page 27 so it should be all set to debut next week. As anyone who has met me in real life knows I have a soft spot for Casanova since I was his original model WAY back in 2006 when my friends and I came up with the concept of Team Stryker. I’m secretly jealous of Casanova since I only get older and he just seems to get more handsome each issue! Life isn’t always fair. Keep your eyes peeled for more Team Stryker pages right here or follow me on Facebook, Twitter and Instagram @TSComic for all your Team Stryker updates!